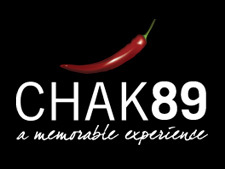 CHAK 89's highly respected team of chefs and catering staff are not only able to offer an exquisite dining experience in our own banqueting halls in Mitcham, but are proud to have been approved to offer outside catering services at a vast range of top name venues across the UK including the prestigious Hilton Hotel chain and Arsenal's Emirates Stadium. Please view the full list of venues below. 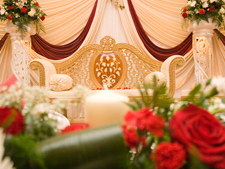 At CHAK89 we pride ourselves on making your dream day into a reality. That's why every aspect of your big day, whether it is a wedding, birthday, anniversary, conference, seminar or just a get together, it is all taken care of. 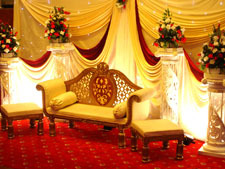 From Indian weddings, Pakistani, Punjabi, Gujarati or Christian weddings we take pride in specialising in specific events and any requirements you may have. From the first day to the event day we take care of all your needs from organising music entertainment, photography, decorations, and of course the ultimate in authentic catering. 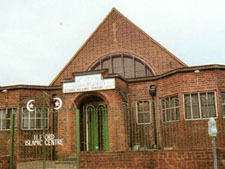 We have two halls, one small and one very large; these can be connected to cater for a much larger event. You want your special occasion to be as good as it can possibly be. 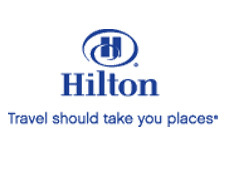 With Hilton, you can be confident that we'll bring the vital extra element to your next event. From the first welcome cocktail to those final homeward transport arrangements, your guests couldn't be in more experienced hands. Our elegant, full-service hotels such as Marriott, JW Marriott and Renaissance are located in some of the world's most attractive and convenient destinations. They are renowned for attention to detail and design. Our select-service hotels are more affordable, but no less accommodating. 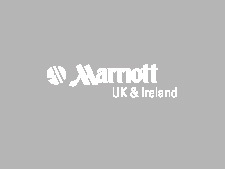 We can arrange your event at any Marriott Hotel accross the country. Please contact us for further details. With a colourful past that pre-dates the Domesday Book, Addington Palace is set in 163-acres of landscaped grounds in Surrey. With the added bonus of two venues onsite we are able to provide and are licensed for Civil Ceremonies with excellent facilities for Wedding Receptions. Without doubt the best venue in Surrey. 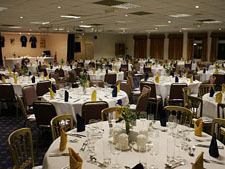 The Fans' Stadium - Kingsmeadow is home to three function rooms that can cater for all types of function, be they weddings, private parties, corporate events or 18th birthday parties. As well as the individual qualities that each room offers, the plentiful, free parking makes Kingsmeadow the ideal place to host your party or function. 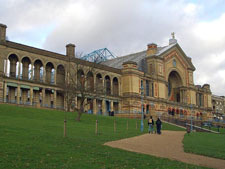 Alexandra Palace has built a reputation as one of London's premier venues. With its beautiful setting with panoramic views of London, stunning architectural features and well proportioned halls, the Palace is now a very popular choice for both corporate and private events. Whether your event is large or small, the spacious multi-million pound Allum Hall and the part 17th Century house are great value for money. The light and airy Allum Hall can accommodate 470 people and is regularly used for wedding receptions, concerts, dances, antique fairs, conferences, exhibitions and rehearsal rooms. There is a large, equipped catering kitchen and a second, smaller kitchen. Altitude 360 is an ultra-modern event space. Situated at the top of Westminster's Millbank Tower and located right on the Thames alongside some of London's most famous landmarks, Altitude offers stunning views of all that the city has to offer. Its magnificent ceiling and grand scale makes the Main Hall an unforgettable location for any high-profile or important event. The Undercroft, once used by James I, today can be used as an atmospheric reception area or as an intimate venue. 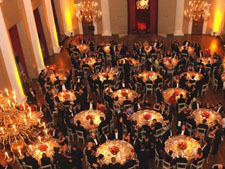 Its central location on Whitehall makes it one of the London's most sought-after event venues. 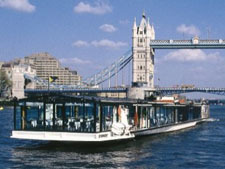 Celebrate the most important day of your lives whilst cruising on the Thames. 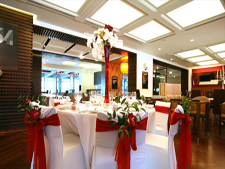 Bateaux London offers Banquet or Buffet style wedding reception packages to suit the style of your wedding. The stunning entrance with its long sweeping drive will captivate your guests from the moment they arrive. The impressive frontage and walls of glistening glass along with the superb surroundings provides the perfect setting for your celebration. 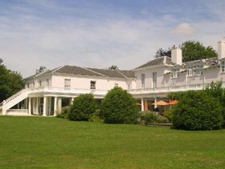 Beaumont House is a superb venue set in 40 acres of landscaped grounds with and excellent location which makes it an ideal base for both business and pleasure. Dating back to the 17th century, Beaumont House has expanded over the years and today offers guests a tranquil location in which to meet and relax. Situated in the heart of leafy Buckinghamshire close to Windsor, the Bellhouse offers you a warm, friendly welcome complemented by professional service and attention to detail for a truly relaxing stay. When you select The Bellhouse as the venue for your wedding you can rest assured that the team will be on hand to offer expert advice on any aspect, from the overall theme to the evening entertainment. We will be delighted to make your dream wedding a reality! 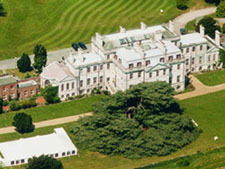 Braxted Park is a beautiful Queen Anne house set in its own historic and unique parkland setting in the heart of Essex. 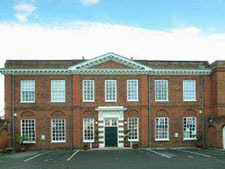 It has been the family home of the Clark family since it was purchased on behalf of the Plessey Company by Sir Allen Clark in 1946. Since that time it has been developed by successive generations of the family into a highly successful and diversified rural business which incorporates five main enterprises: weddings and events, property management, a 9 hole parkland golf course, one of the best partridge shoots in the UK and a productive arable farm. The 4 Star Mercure Castle Hotel, located two minutes walk from the main gates of Windsor Castle, with unrivalled views of the Changing of the Guard procession. 10 miles from London Heathrow, easy access from London Paddington or Waterloo. Close to Jct.6 of the M4 and Jct.13 of the M25. 108 en suite bedrooms with air conditioning and broadband internet access. AA 2 Rosette restaurant, Eighteen and Bar. Conference facilities for upto 400 guests and paid parking. 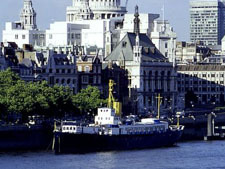 Capital Pleasure Boats offer private boat hire on the River Thames in London. Our luxury pleasure boats have a capacity of between 40 and 240 passengers and make ideal party venues, suitable for a wide range of riverboat trips including birthday functions, disco cruises, club nights, office parties, student events, sightseeing cruises, corporate charters and weddings. 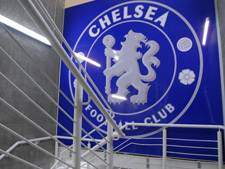 Chelsea Football Club is proud to host the most exciting, most sophisticated and most versatile event space in London - Bluewing. Whether you're looking for a venue to host a meeting or exhibition, a party or a gala dinner or if you're looking for a conference centre in London, Bluewing is the place for you. 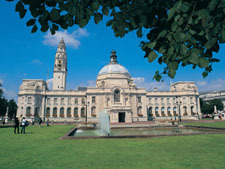 City Hall is the centrepiece of one of the world's finest civic centres, an area of prestigious buildings, gardens and broad avenues. Within its magnificent exterior can be found elegant rooms of all descriptions and sizes to meet all of your wedding requirements. 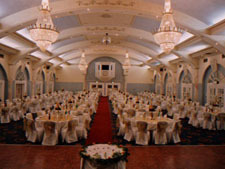 These include the spacious Assembly Room, undoubtedly Wales' premier function venue, accommodating up to 500 guests. This is often the setting for major national and international events and is accessed by a grand Victorian staircase and the splendid Marble Hall. 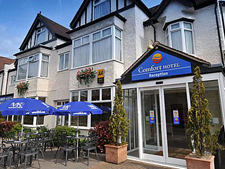 The Comfort Hotel Harrow is situated in the famous London suburb of Harrow, conveniently located near many of London's top tourist attractions. 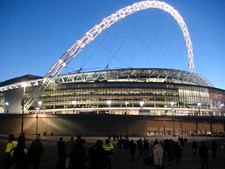 This Harrow hotel is minutes from Wembley Stadium football stadium, the Wembley Arena entertainment facility, the Harrow Museum, the famous Harrow School and the historic Saint Mary's Church, a breathtaking example of mediaeval architecture. 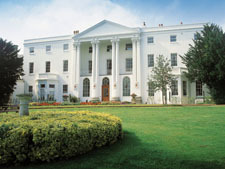 The Effingham Park Hotel is a superb 4 star hotel set in 40 acres of country estate. 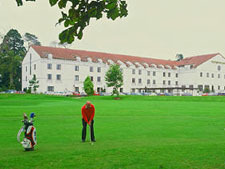 The hotel has challenging 9-hole golf course as well as a 20m swimming pool, floodlit tennis courts and an healthclub which is supervised by very friendly and competent staff. 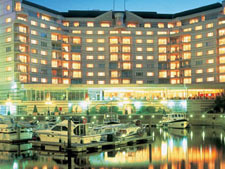 The hotel is ideally located, close to many attractions and the South Coast. 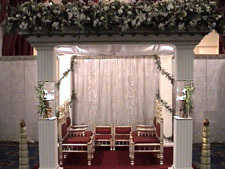 Weddings are usually carried out in the gigantic Museum Suite which can cater for receptions of up to 600 guests; or the Wellingtonia Suite which is ideal for smaller weddings and functions of up to 80 guests - while any smaller meetings can be accommodated in any one of the other 13 meeting rooms and suites. 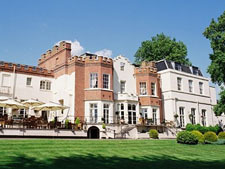 The Copthorne Hotel Slough-Windsor is ideally situated for visits to historical Windsor and the surrounding areas. This stylish, modern hotel boasts two floors of Club Room accommodation offering some fantastic room extras. Great packages are also available including entrance to local attractions. This hotel offers excellent access to the region's major road network, located just off junction 6 of the M4 and only 30 minutes from Heathrow Airport. 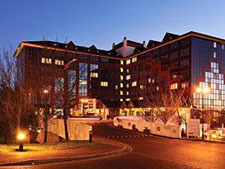 The Copthorne Tara Hotel is one of the most well known 4star hotels in London. It is ideally located in a quiet corner of the Royal Borough of Kensington & Chelsea and offers convenient access to other areas of London. 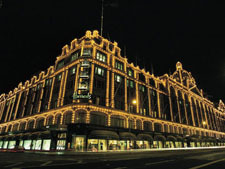 Whilst it is easily accessible from the M4 with Heathrow Airport only 30 minutes drive, Earls Court and Olympia Exhibition Centres are only a 5-minute journey by car or bus. The newly opened Westfield Shopping centre is just 10 minutes away by car. The hotel boasts 833 air-acclimatised bedrooms; including Standard rooms, Club rooms on the upper floors which offer city views and access to a private lounge, adapted rooms for the disabled traveller, suites and the Royal Tara suite. This beautiful Victorian property dating back to 1897 offers an elegant selection of private rooms for weddings, ceremonies and receptions. The courtyard, with its landscaped garden and fountain, is a perfect backdrop for wedding photographs. True romantics will appreciate the stunning and unique Shakespearean frieze surrounding the entire courtyard. Depicted in this rich tapestry are scenes in relief from most of Shakespeare's plays. What better romantic inspiration for a wedding day? The light and fresh persona of the Delfina helps create the ideal ambience to entertain your guests, with its urban garden and subtle lighting; this venue is a real gem for any style of event. Located in the heart of the City this stunning venue offers an impressive flexible space suitable for a wide range of events including Conferences, Lunches, Weddings, Award Ceremonies, Parties etc. The prestigious home of Arsenal, Emirates Stadium is a venue that never fails to impress. 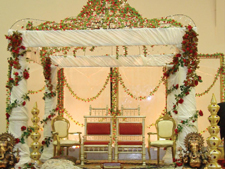 Offering an array of elegant and spacious suites that are all licensed for Civil Wedding Ceremonies. The bowl design of the venue enables multiple suites to be used for your day whilst also ensuring the privacy and intimacy you require. 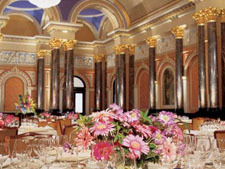 The Main Hall is a spectacular setting for your wedding celebrations. An idyllic romantic venue for weddings of all sizes, our courtyard garden is ideal for a drink reception. Housing a World Master Chefs Society kitchen, our chefs will propose and prepare a menu to your specifications. Renowned for having one of the industry's most talented teams, combining unsurpassed attention to detail with a personal service and stylishly presented food, Kudos Hospitality will enhance your special day. The combination of the stunning location and high quality caterer has made Gibson Hall one of the most desirable London venues for weddings and receptions. Set within the secure ground of the Honourable Artillery Company, and against the stunning backdrop of the historic Armoury House and buildings, this event space is perfect for daytime and evening events; parties, Weddings, BBQ's, Award Ceremonies, team building etc. Situated in five and a half acres of manicured lawns in the heart of the City complete with a full Fun Fair. Moored on the Embankment next to Blackfriars Bridge, HMS President (1918) offers an impressive variety of function rooms, bars and decks open until 2a.m. that make the perfect venue for hosting dinners, parties, conferences, weddings and boat hire. The boat is located opposite the Oxo Tower and boasts spectacular views of the river Thames, as well as some of London's most famous landmarks such as the London Eye, The South Bank Centre, The National Theatre, St Paul's Cathedral, The Tate Modern and many more! As it was built in 1918, it holds priceless authentic character and competes with some of the most luxurious venues in and around London. The boat now spends a majority of its time being hired out for events of all varieties. This modern, stylish central London hotel, is located in the heart of fashionable Camden Town & directly overlooking Regent's Canal. 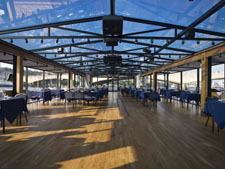 With 6 function rooms including the Glasshouse on the Lock with floor to ceiling windows can accommodate up to 350. The additional 5 conferencing & banqueting suites can accommodate 4 to 180 delegates. All rooms are suitable for a variety of events from training courses, boardroom meetings, conferences, weddings & team building events. Situated on the A1, Holiday Inn London-Elstree is just 10 miles from world-class concerts and sporting events at Wembley Stadium and within 35 miles of both Luton and Heathrow airports. It's not just our handy location that keeps guests coming back, but our friendly staff, extensive Leisure Club and dedicated conference facilities. Host your special event at the Holiday Inn London-Elstree hotel, with 13 meeting rooms including one with sparkling chandeliers, popular for weddings and functions of up to 400 people. 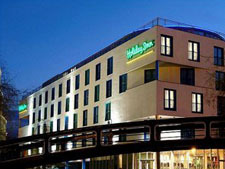 Relax in style at Holiday Inn London-Kingston South hotel, set in a leafy area overlooking the River Thames. Kingston's exciting shops, quaint riverside and pubs. 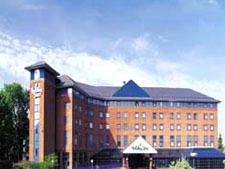 The Holiday Inn London-Kingston South hotel boasts 10 meeting rooms for up to 250 people, which can be set up for conferences, weddings and banquets. Whether you're traveling for pleasure or business, at the Holiday Inn Maidenhead-Windsor M4 Junction 8/9, you'll appreciate the excellent range of facilities including Wi-Fi & high speed Internet access. 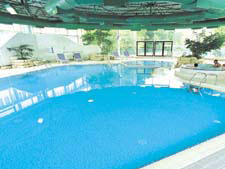 The Holiday Inn Maidenhead - Windsor has 197 fully air conditioned bedrooms, a restaurant, bar, lounge, and Spirit Health Club with swimming pool, spa, sauna, steam room, and gymnasium. Car parking is also free at the Holiday Inn. 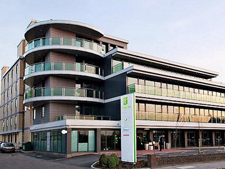 Welcome to the Holiday Inn London-Sutton, a modern full service hotel situated in the heart of Sutton. 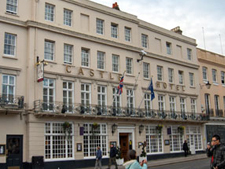 The hotel is perfectly located for many famous attractions in South London including Wimbledon and Epsom Racecourse. 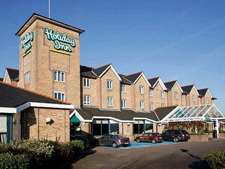 We're located at the Holiday Inn London - Sutton just 30 minutes from Gatwick Airport via the M25, 10 minutes from Wimbledon, 15 minutes from Kingston and a direct train links to London Victoria. Our hotel also has fabulous spa facilities. We offer a wide range of spa treatments including reflexology, aromatherapy massage, hot stone treatments and our special "bride and groom" pamper packages. You can also use a sauna and a whirlpool before or after your spa treatment. 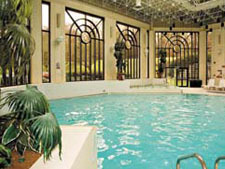 Hotel residents and members can also use the gymnasium and indoor heated pool at the Spirit Health Club. 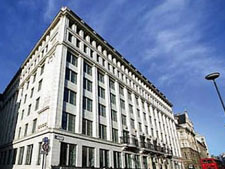 The Churchill is a 5 star luxury hotel ideally situated in central London 's West End. Located in the Marylebone area, adjacent to Park Lane, the hotel is just minutes from the exclusive shopping areas of Oxford Street, Soho or Bond Street and England's renowned landmarks of Hyde Park, Marble Arch and Buckingham Palace. The hotel is also just minutes from Paddington Station where a fast train service takes a mere 15 minutes from Heathrow Airport. A popular business and conference hotel in the West End, Hyatt Regency London proposes upscale meeting rooms and personalized catering. 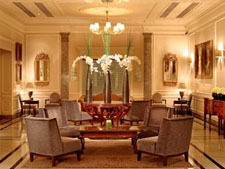 It also hosts the much acclaimed Michelin Star restaurant Locanda Locatelli and The Montagu. Straddling with a rare breath taking gallery view in combination with being positioned on a superb easy access location with impressive hall floor of an elegant modern design building is the delicate "Impression Events Venue". 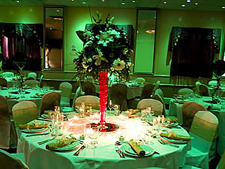 The venue offers up to date amenities for a variety of events from weddings, engagement, reunions, birthday parties, business, corporate event to any orthodox functions either during the day or in the evenings. Your wedding is one of the most important days in your life. We make every effort to ensure your special day is unforgettable. Ivory Mansion can seat up to 500 guests, which is further complemented by a spacious reception lounge. 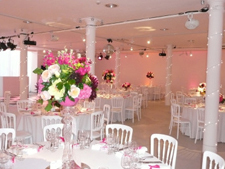 The venue is beautifully decorated in neutral colours and offers a state-of-the art mood lighting system. Look no further than the Ivory Mansion to make your special day even more unforgettable. The Decorium, a neo-classically designed complex inspired by Roman architecture, highlights traditional Regency style with its impressive columns. This superbly appointed and exceptionally unique fully air-conditioned venue offers sumptuous comfort in elagent surroundings, with excellent features and versatile facilities, combined with the character and splendour of the past. 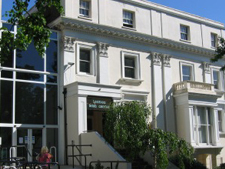 The London Irish Centre is nestled in a quiet garden square in Camden Town, close to central London. We specialise in accommodating for all kinds of events; conferences, weddings, corporate receptions, training courses, dinner dances, meetings and parties both large and small. All our conference and banqueting functions are personally managed by our experienced staff, who extend to you a friendly welcome and a helping hand. The Conservatory at Luton Hoo Estate is a stunning marquee situated in the tranquil surroundings of a private 6 acre Walled Garden. With fantastic flexibility, in inspirational surroundings, this venue is the perfect setting for fun day's teambuilding, meetings, conferences, weddings and much more. 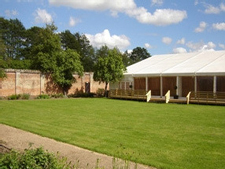 An exclusive venue finished to the highest specification including an outside decking. Manor of Groves Hotel, Golf & Country Club is set in 150 acres of beautiful rolling Hertfordshire countryside, yet is only 10 miles from Stansted Airport. The main house is linked to the modern part of the building by an eye-catching glass atrium, which accommodates a Parisian influenced Brasserie, lounge and bar area. From the moment you arrive, winding your way through our beautiful parkland setting, to the second you leave you will be enchanted by Manor of Groves. The stunning architecture and picturesque grounds make us the ideal wedding venue. 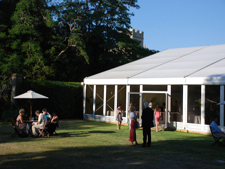 Fully licensed for wedding ceremonies, a choice of rooms is offered including our two gazebos. London's largest interactive entertainment venue. 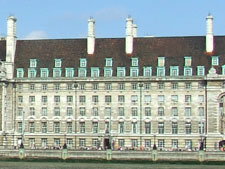 Situated next to the London Eye and Waterloo station, County Hall is London's most unique venue. Encompassing a massive 35,000 sq ft of Bars, Music, Games, Bowling, Dodgems and Pool plus lots, lots more. 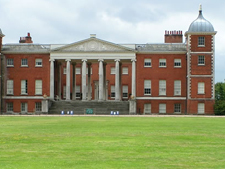 Today Osterley House and Park offer a tranquil oasis in the heart of west London and a perfect setting for a special day. Approached via a sweeping, tree-lined drive and set amidst the splendour of manicured gardens and secluded woodland, lies the magnificent Savill Court Hotel and Spa near Windsor. This timeless 19th Century mansion exudes an elegant presence within minutes of neighbouring Windsor Great Park and Windsor Castle. 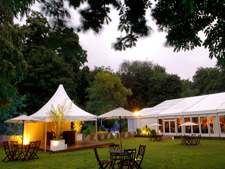 The Garden Room in Syon Park is set in a secret garden within the stunning grounds of Syon House. 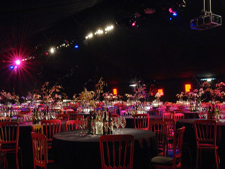 With acres of land to fill with the most imaginative activities, combined with an extensive marquee structure, up to date production and a private garden, this luxury marquee is the perfect setting for any summer event or wedding. 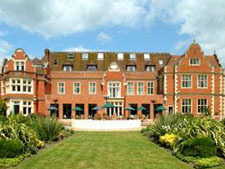 Taplow House Hotel is an exclusive wedding venue located on the edge of Maidenhead and the historic Burnham Beaches. This elegant mansion dating from 1598 is situated in 6 acres of picturesque woodland, lending itself perfectly to a Country House style wedding. 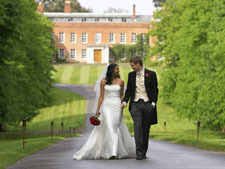 As you sweep into the driveway the gardens with their impressive trees present a magnificent location for any wedding. 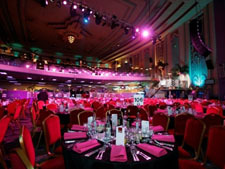 Personal service and attention to detail are hallmarks of the Troxy and is demonstrated by our reputation. Our banqueting rooms provide the right ingredients and flare for any forthcoming event. Upon entering the, on the ground floor, the reception lounge decorated in traditional periodic colour scheme and silk wall coverings, offers the perfect area for welcoming drinks for all guests. Having two fully fitted bars, the reception lounge is the only place to start off any event. A grand staircase and Tiffany stained glass ceiling provide a wonderful focal point for photographic opportunities. 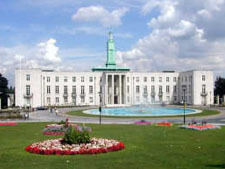 At one point Walthamstow was just a culmination of five small villages, and affairs were discussed at Vestry House, acting as the first town hall. In 1870 it had grown to the size of a small suburb and a town hall was built in Orford Road from which affairs of the village were run ( which now takes place in Forest Road - since 1941). We offer a range of first class facilities which can accommodate catering from three people up to capacities of 1000 for conferences and over 3000 for receptions. 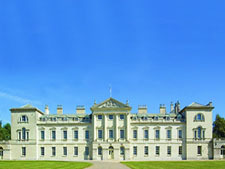 The Woburn estate offers three unique venues for weddings: The Sculpture Gallery at Woburn Abbey, The Safari Lodge at Woburn Safari Park and The Inn at Woburn. 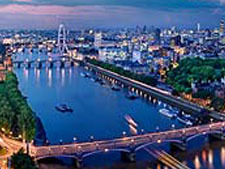 The Wyndham Grand London Chelsea Harbour, set in the exclusive Chelsea Harbour, is London's only 5-star luxury all-suite hotel. Imagine saying "I do" in one of the most exclusive communities in London, the Chelsea Harbour. Ideally located, we are near all the best London has to offer. The possibilities for fine dining, shopping, entertainment and recreation are endless. With so much to do, Wyndham Grand London Chelsea Harbour is ideal for both weddings and honeymoons.